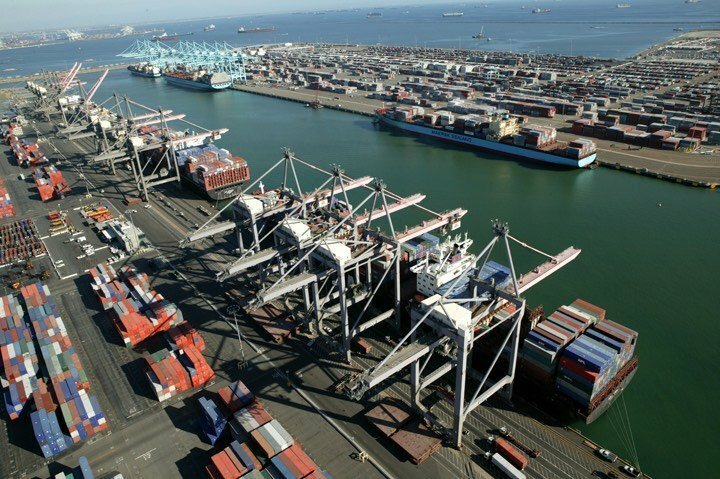 CMA CGM has signed a deal with EQT Infrastructure and its partner P5 Infrastructure to sell a 90% stake in the Global Gateway South (GGS) terminal at Los Angeles to EQT Infrastructure for $817m. CMA CGM acquired the terminal in December 2015 as part of a $2.4bn takeover deal of Singapore’s Neptune Orient Lines (NOL). Following the completion of the transaction, CMA CGM will remain a minority shareholder holding 10% of the terminal and it entered into a long-term industrial partnership and utilization agreement with EQT Infrastructure and P5, allowing the the company to remain a major user of the terminal with preferential conditions. CMA CGM will receive a cash consideration of $817m and additional deferred payments based on GGS’ future operating and financial performance. CMA CGM said the deal is fully in line with the company’s strategy to focus on its shipping business while securing its operations through shared ownership of key terminals. “We are very pleased to partner with EQT Infrastructure. Together we will develop GGS into a world class terminal company. The terminal will remain an important part of our industry leading logistics network, and will have an opportunity to grow alongside CMA CGM. Throughout the sales process, EQT Infrastructure and P5 expertise have focused on growth in addition to a responsible, hands-on ownership approach, which we consider highly beneficial to our future partnership,” said Farid Salem, executive officer of CMA CGM. The deal is expected to be completed by end of 2017.